Nanny: Child illness will not prevent you from your other responsibilities! The common cold, ear infection or virus will be something your ABC Nanny can care for while you're working. If you have an older child that gets sick while at school, you will not have to leave work to go get him/her because ABC Nannies will be more than happy to help! Daycare: Child illness can require that you drop everything and go pick up your child immediately. Oftentimes, daycares will require your pediatrician to give a release to allow your child back into the classroom. In most cases, you are still required to pay the daycare whether your child is present or not! Nanny: Of course, your Nanny comes to your home, which allows you much more freedom. You do not need to pack lunches, bottles, diapers, wipes, extra clothes or anything else. Additionally, you won’t have to wake up extremely early just so you can beat traffic in the morning and get your children where they need to be on time! You also have the advantage of flexible hours – ABC Nannies watch your children based on your schedule! Daycare: All too often, you must rush your children to daycare and be sure that they have every conceivable thing needed during the day. Many parents need to drop their children off very early before their own daily activities have started, which leaves children just waiting for their daycare teacher to come in for the day. Plus, if you are running late at the end of the day, most daycares will charge parents an outrageous $1-$2 a minute in late fees! Daycares will not adjust to fit your family needs, which will limit your options drastically. Nanny: You control activities that you want done during the day. You can request that your Nanny designates quiet time each day devoted to educational activities, arts and crafts, reading, or any other activity you prefer. You need not worry if he/she is getting the attention and focus your child deserves! 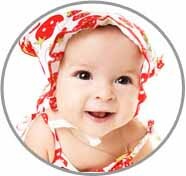 ABC Nannies are well educated, knowledgeable and extremely professional. Daycare: There is just no opportunity for your child to ever truly have quiet time to work on anything at a daycare. There are just too many children to allow this kind of time at a daycare. This can often result in your own child getting used to the hectic atmosphere, and then becoming restless when the time does come to focus at home. Nanny: At your request, your children can be taken to the local park so they can play outside, have play dates with friends and enjoy all the outdoors has to offer! They will have opportunity to enjoy making snowmen in the winter, playing in sandboxes or on swing sets in the summer, and generally being able to have fun while being as active as every child wants. The main benefit of a Nanny is the knowledge that your child is just as safe as if you were with them yourself! Daycare: Children may be taken outside for playtime, but oftentimes can get hurt or get in “kiddie arguments” where toddlers get too rough (many times with young children they may even get bit). Daycares limit the amount of time outside because it’s too hard to control such a large group of children in this atmosphere. Nanny: Children are able to play and interact with siblings. One of the best benefits of having children close in age is they are able to play and grow up together. When they are able to spend quality time together it reinforces and strengthens the family bond! Daycare: Children are separated by age. Even if your children are close in age they will likely never see each other during the day! Each age group has their own room assigned and the rooms rarely mix together. Nanny: You will be able to contact your children at any time during the day! If you are ever wondering how your child’s day is going, you are always able to reach your Nanny. 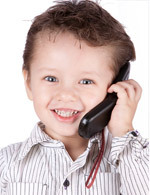 Children are often thrilled to hear from their loved ones checking in on them during the day! Daycare: At daycares, it can get crowded with all the children running around, making it hard for you to call and check on your child. When you go to pick your children up, they are so enthused to see you that they may have already forgotten the good or bad experiences they had at the daycare. Nanny: Individualized attention is probably the best part of having a Nanny in your children’s lives! Your Nanny will interact with your children one-on-one and focus on all of their needs and interests. This can include coloring, reading and music! Your children receive superlative care when in the hands of an in-home childcare provider! The activities implemented by your Nanny will enrich your children's lives and promote positive reinforcement! Daycare: In a classroom environment with a high student to teacher ratio, the amount of time given to each student privately is inadvertently limited due to the needs of each child being so vastly different. Nanny: Many times, parents propose the option for their Nanny to join them on vacation. This opportunity allows you to enjoy quality time with your children as well as still being able to have time for Mom and Dad! Since most ABC Nannies inevitably become part of the family, their involvement becomes so natural it almost wouldn’t feel right without them! Daycare: On vacation, childcare will often times not be available. 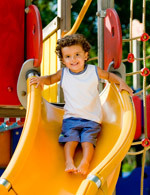 Otherwise, you will most likely be charged by the resort, as if your children were attending after school or daycare. Depending on your destination, you will have to plan your activities in accordance with child friendly standards. Of course, this can mean stress, and that’s the last thing you want on your vacation! Nanny: Often times, homework is a tedious and timely task. Your Nanny can assist with homework, giving you quality time to spend with your children when you arrive home. Also, any afterschool activities that require transportation will no longer be an issue! Since your Nanny will happily bring your children to and from any destination they require, there’s no need to worry! Daycare: Afterschool activities are great when it comes to structuring children to keep them busy, but often they do not allow time to study and complete homework during the day. After a long day at work, it can be quite stressful on both you and your children to figure out what homework assignments the children need to have completed for the next day at school. Unfortunately, this does not leave much quality time for you and your child to spend enjoying your time together.